Ursula Vernon [broadcast 2016-02-01] — Discussion of the best of 2015 in science fiction and fantasy literature, movies, comics, stories, and more, with an eye on Hugo Award categories, the Nebula Suggested Reading List, and the just-released Locus Recommended Reading List. Co-hosts Mur Lafferty and Samuel Montgomery-Blinn. Runtime: 01:59:29. Also mentioned that nominations are open for the 2016 Manly Wade Wellman Award and a pair of upcoming events at Flyleaf Books (Thursday, February 5) and Quail Ridge Books (Friday, Feburary 6) with Lawrence M. Schoen for his new science fiction novel Barsk: The Elephants’ Graveyard. Jenna Black [broadcast 2015-12-07] — “Focus on Speculative Fiction” co-hosts Mur Lafferty and Samuel Montgomery-Blinn talk to Pittsboro author Jenna Black about her “Game of Thrones meets House of Cards” contemporary fantasy The Gifted Dead and new sequel Schism, as well as her YA “Replica” series (Tor Teen) and urban fantasy series “Descendants”. Mark Van Name and David Drake (broadcast October 19, 2015) — A discussion of the newly-published tribute anthology Onward, Drake! edited by Van Name, with new fiction and non-fiction by Drake, Van Name, Gene Wolfe, Eric Flint, Cecelia Holland, and many more, including Carolina Book Beat co-host Mur Lafferty. Van Name and Drake will also appear at the military science fiction convention HonorCon at the Hilton North Raleigh/Midtown on Saturday, October 31. Alyssa Wong and Ursula Vernon (broadcast September 7, 2015) — Ahead of their appearance tonight (Thursday, September 17) at the Duke University Libraries-hosted Science Fiction and Fantasy Writers of America Southeast Reading Series (4 pm to 6 pm) these two World Fantasy Award nominated authors joined co-hosts Mur Lafferty and Samuel Montgomery-Blinn in studio to talk about their work. And dating games. And… well, you’ll just have to listen. 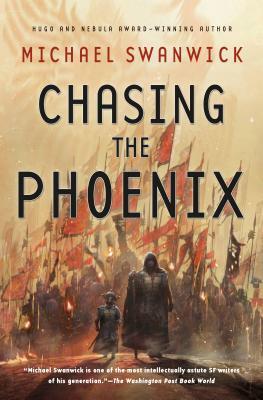 Chasing the Phoenix by Michael Swanwick (broadcast August 17, 2015) — 5-time Hugo Award winning author Michael Swanwick was in town for three events (the Oak City Comic Show, and readings at Quail Ridge Books and Flyleaf Books) on a tour in support of his new novel Chasing the Phoenix, set in his “Darger and Surplus” post-utopian milieu of con artists, malevolent artificial intelligences, and a pre-industrial collapsed future of genetic manipulation and plagues. That sounds a bit bleak, but they’re actually both darkly and laugh-at-loud funny books as well. (If you want a bit bleak, try Swanwick’s Stations of the Tide or his World Fantasy Award nominated The Iron Dragon’s Daughter.) In studio with co-hosts Mur Lafferty and Samuel Montgomery-Blinn. Swanwick’s last tour date is coming up next Monday (September 21) at the Penn Bookstore in Philadelphia at 6:00 p.m.
Knee Deep by Prologue Games (broadcast July 27, 2015) — Durham-based game studio startup Prologue Games is making waves with its innovative story-driven adventure game Knee Deep, a “swamp noir” of intrigue, murder, and journalism. Owner Colin Dwan and writer/designer Wes Platt joined co-hosts Mur Lafferty and Samuel Montgomery-Blinn in studio to talk about the game design and story for “Act I: Wonderland”. Knee Deep unfolds in the backwater Florida town of Cypress Knee. A washed-up Hollywood actor is found hanging from the iconic tower at the center of Chief Roadside’s Wonderland, a tacky resort that is more of an affront to Native Americans than tourist attraction. You investigate this mysterious suicide through the eyes of three distinct characters: cheeky blogger Romana Teague, beleaguered local newspaper reporter Jack Bellet, and cynical private investigator K.C. Gaddis. Midnight Burning by Karissa Laurel (broadcast July 6, 2015) — North Carolina author Karissa Laurel is the author of this debut contemporary fantasy novel from Garner-based publishing house Red Adept Publishing, and she and publisher Lynn McNamee joined co-hosts Mur Lafferty and Samuel Montgomery-Blinn in studio to talk about the book, editing, publishing, gaming, and more in a “focus on speculative fiction” episode. Solina Mundy lives a quiet life, running the family bakery in her small North Carolina hometown. But one night, she suffers a vivid nightmare in which a wolfish beast is devouring her twin brother, who lives in Alaska. The next morning, police notify her that Mani is dead. Driven to learn the truth, Solina heads for the Land of the Midnight Sun. Once there, she begins to suspect Mani’s friends know more about his death than they’ve let on. Skyla, an ex-Marine, is the only one willing to help her. As Solina and Skyla delve into the mystery surrounding Mani’s death, Solina is stunned to learn that her own life is tied to Mani’s friends, his death, and the fate of the entire world. If she can’t learn to control her newfound gifts and keep her friends safe, a long-lost dominion over mortals will rise again, and everything she knows will fall into darkness. 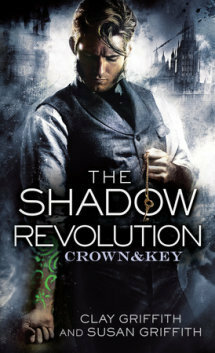 The Shadow Revolution by Clay and Susan Griffith (broadcast June 1, 2015) — Raleigh authors Clay and Susan Griffith are the husband-and-wife authors of the Vampire Empire trilogy from Pyr Books (The Greyfriar, The Rift Walker, and The Kingmakers) and are now set to see four more books published this year, starting with Del Rey’s publication of their new Crown & Key trilogy this summer. Co-hosts Samuel Montgomery-Blinn and Mur Lafferty host this “focus on speculative fiction” episode. 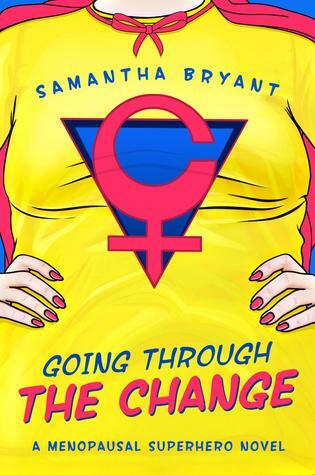 Samantha Bryant (broadcast 04-07-2015) — A “focus on speculative fiction” episode with co-hosts Samuel Montgomery-Blinn and Mur Lafferty and guest Samantha Bryant, Hillsborough author of debut novel Going Through the Change [Goodreads]. “Going through ‘the change’ isn’t easy on any woman. Mood swings, hot flashes, hormonal imbalances, and itchy skin are par for the course. But for these four seemingly unrelated women, menopause brought changes none of them had ever anticipated–super-heroic changes.” And! A (brief) special guest review, as Mur’s daughter a.k.a. Princess Scientist reviewed Ursula Vernon’s forthcoming Castle Hangnail. Enjoy! 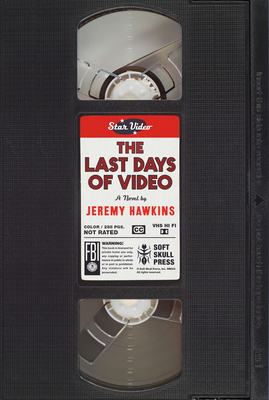 Jeremy Hawkins (broadcast 03-16-2015) — A “focus on speculative fiction” episode with co-hosts Samuel Montgomery-Blinn and Mur Lafferty and guest Jeremy Hawkins, author of debut novel The Last Days of Video.